People who face criminal charges in San Francisco, California, often require dedicated legal assistance. At John M. Runfola Law Office, we assist clients who are dealing with a wide range of issues involving drug trafficking, white collar crimes, federal conspiracy, weapons offenses, burglary, robbery, homicide, drug charges, domestic violence, restraining orders, mail fraud, sexual assault, internet crimes, embezzlement, DUIs and health care fraud. During a free initial consultation, our experienced attorneys listen carefully to the details of the case. We then work with our clients to investigate every legal option available. 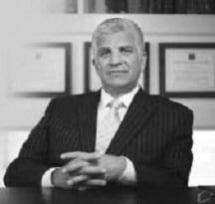 Founding attorney John M. Runfola has a reputation for success among the criminal defense niche. He has received Martindale-Hubbell’s highest rating of AV Preeminent*, which is only given to those with the highest ethical standards in the business. As a member of the California Attorneys for Criminal Justice and the National Association of Criminal Defense Attorneys, Mr. Runfola’s passion for helping others is shown through his ability to win maximum compensation for his clients. For over 35 years, our law office has taken a client-centered approach to developing strong cases. We involve a professional team of experts, including lab technicians, forensic scientists, weapons experts, investigators and toxicologists depending on the circumstances surrounding the case. John M. Runfola Law Office also accepts credit cards as a convenience to our valued clients.